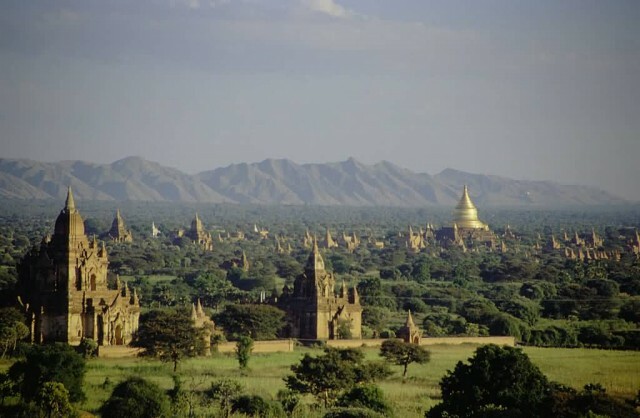 Bagan is an ancient city located in the Mandalay Region of Burma (Myanmar). 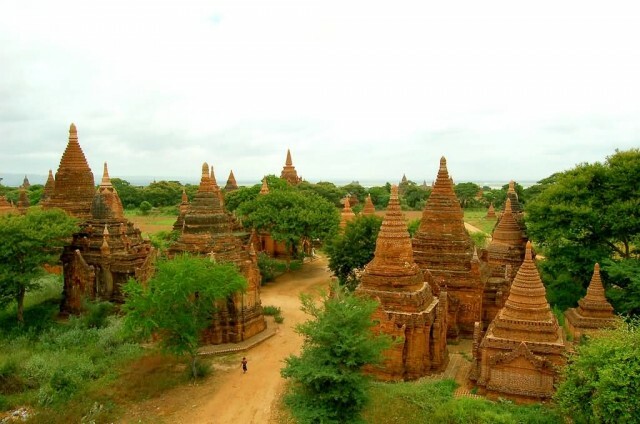 During the kingdom’s height between the 11th and 13th centuries over 10,000 Buddhist temples, pagodas and monasteries were constructed in the Bagan plains alone, of which the remains of over 2200 temples and pagodas still survive to the present day. 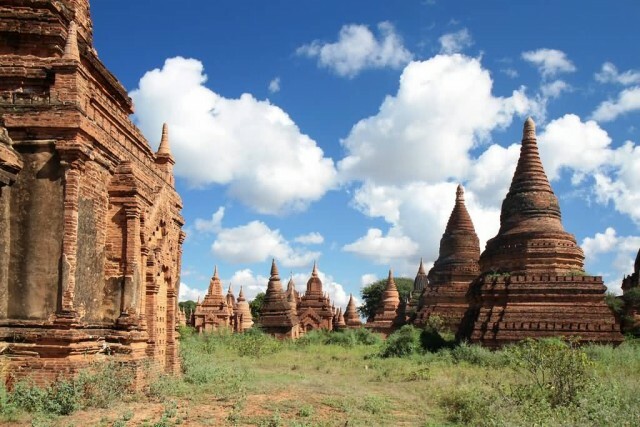 Bagan stands out for not only the sheer number of religious edifices of Myanmar but also the magnificent architecture of the buildings and their contribution to Burmese temple design. 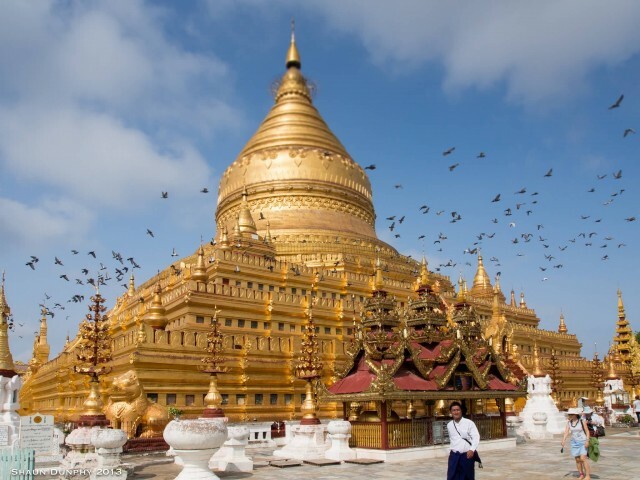 The artistry of the architecture of pagodas in Bagan prove the achievement of Myanmar craftsmen in handicrafts. 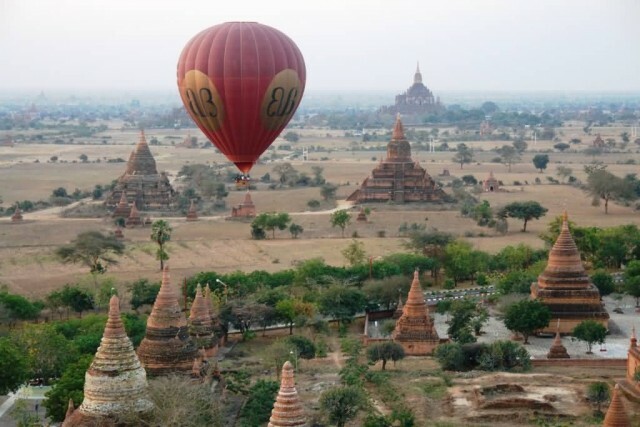 The Bagan temple falls into one of two broad categories: the stupa-style solid temple and the gu-style hollow temple. A stupa also called a pagoda. It is a massive structure, typically with a relic chamber inside. The stupa is a representation of the Buddhist cosmos. Its shape symbolizes Mount Meru while the umbrella mounted on the brickwork represents the world’s axis. In contrast to the stupas, the hollow gu-style temple is a structure used for meditation, devotional worship of the Buddha and other Buddhist rituals. The gu-style temples come in two basic styles: “one-face” design and “four-face” design essentially one main entrance and four main entrances. The Bagan Archaeological Museum is the only museum in the Bagan Archaeological Zone, itself a field museum a millennium old.